Cheshire four-piece The Luka State release their brand new single ‘What’s My Problem’ on March 15th 2019 via Salt Town Records/Project Music with the single also out now via all digital platforms. 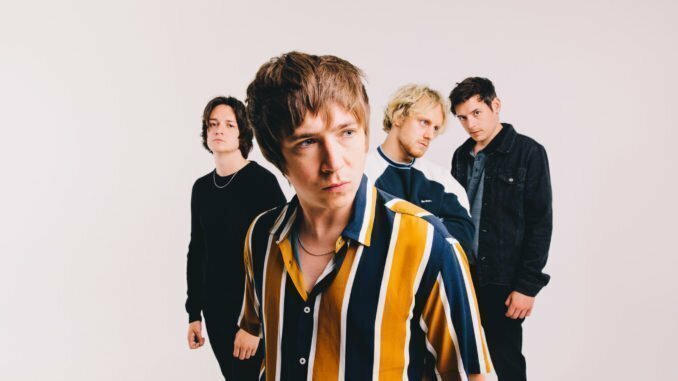 The Luka State are Conrad Ellis (voice, guitar), Sam Bell (bass, voice), Jake Barnabas (drums) and Lewis Pusey (guitars) and they hail from Winsford, Cheshire. Famous for its salt mine, the town also lies halfway between Liverpool and Manchester where music and football are the aspirations of every child. The Luka State chose music. The band have now enjoyed an incredible 3.2 million Spotify streams (many of those in the past six months) plus a staggering 4.2 million YouTube streams too. Tickets for all shows are available now via https://thelukastate.com/ and the first 50 fans to purchase tickets for each show will receive an exclusive free Luka State T-shirt.